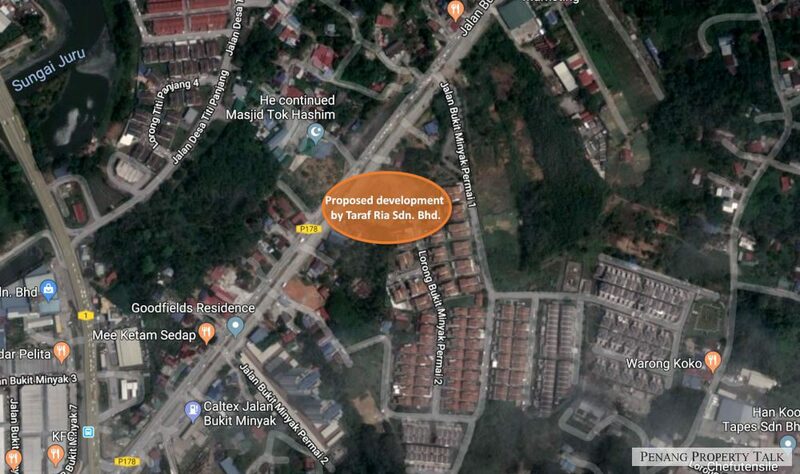 A newly proposed freehold affordable housing development by Taraf Ria Sdn. Bhd. (a subsidiary of WHH Land) at Bukit Minyak. It is part of the company’s BM Permai development located along Jalan Bukit Minyak, less than about 10 minutes walk from The AEON Big hypermarket. This development will see the construction of a 19-storey high-rise residential building, featuring 160 affordable condominium units. There will also be 7 units of 2-storey shop offices located at the ground level.